Every day, undocumented young people must decide whether to ask the Trump administration for renewal of their status. Another option would be to announce that current DACA recipients could finish out their two-year terms, but that the program would not be taking new applicants nor renewing existing deferrals. Instead of ceasing immediately, the program would phase out over time as DACA recipients’ two-year deferrals expire. Jawetz cautions against seeing this option as a moderation, or as a more compassionate response than just canceling the program immediately. As it is, DACA recipients’ deferrals expire every single day—today, someone has to decide whether to spend $495 to apply to renew their status. 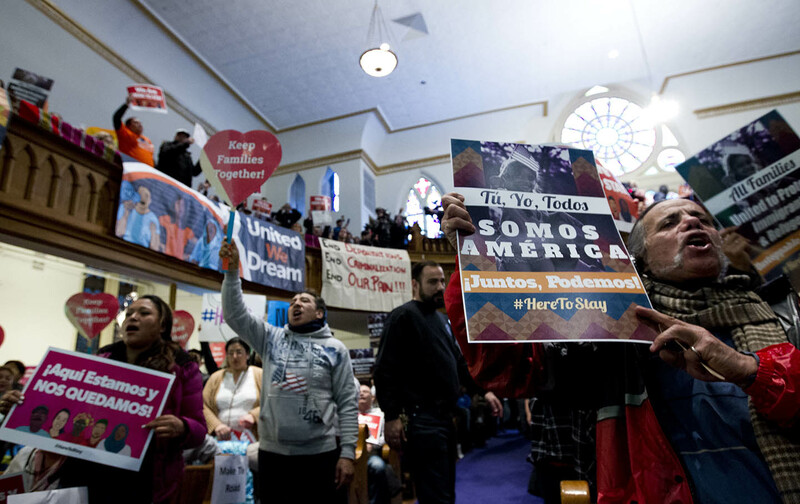 United States Citizenship and Immigration Services, the agency that processes DACA applications, announced on Monday that it is still processing applications, and it will continue to do so directed otherwise by the new administration. But weighing whether to apply for a renewal, and pay the hefty application fee, becomes a new kind of personal gamble, since the Trump administration can rescind DACA at any time. And for those who are first-time DACA hopefuls? Immigrant-advocacy groups have been generally discouraging those young people from applying. Attorneys and advocates I’ve spoken to say they have cautioned people to avoid handing over their personal information to the federal government if they haven’t already.